Window Frame Tombstones | Advanced Machine & Engineering Co. 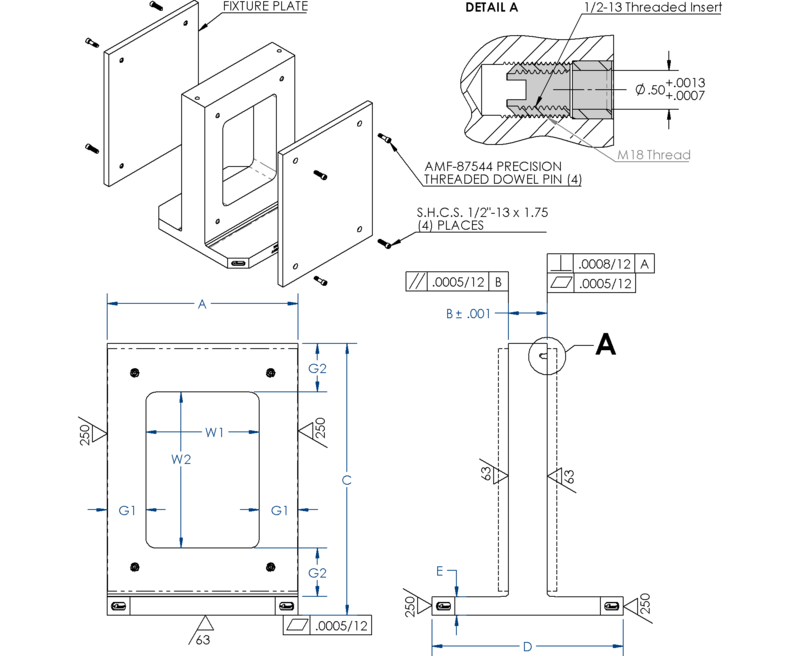 Mounting Holes – ½” Holes in the four corners of both faces. Each hole includes a precision bushing for locating and a threaded insert for quick replacement. 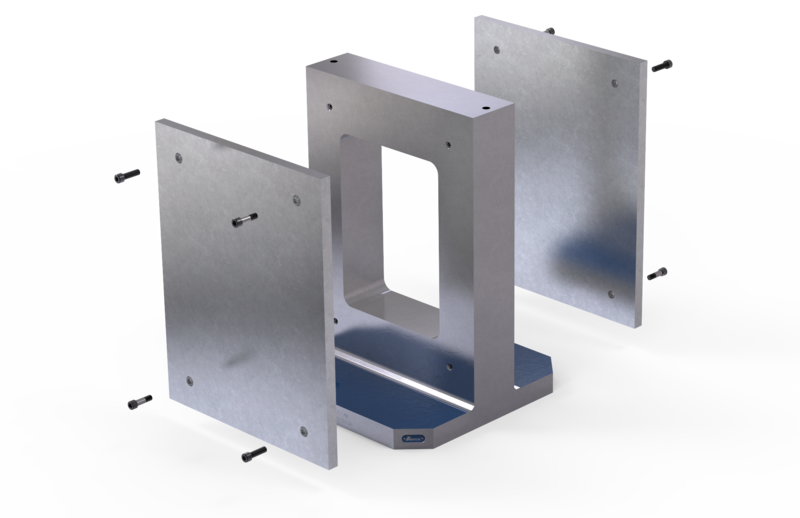 Plate Assembly – This version comes with two AMROK blank fixture plates mounted on both sides of the window tombstone. Upon request, we can customize these fixture plates for your application. Custom - Designed specifically for your application. Some options include custom hole sizes, custom patterns.